Clearwater Marine believes in using only the best. When quality materials are used, top results are created. ​We set out to ensure perfection with every job, and to accomplish this, we only use the most trusted parts in the industry. We can do any job, when you need it. Whether it's the spark plugs and carburetor, or a complete engine re-power, we will be there to get the job done right. Call or email today for quotes on the work you need today! Need parts for a "Do It Yourself"? Our suppliers give us access to any part you could need. Give us a call today to find the parts you need for your job. We all know that when it comes to boats, there is no exception. Having your boat looking good for the season and keeping it clean throughout the year adds to the excitement of being on the water. Our detail crew is the best in the area, and is ready to take on any project, large or small. Schedule your boat detailing and wax with Clearwater today! Want to add speakers? A new stereo? 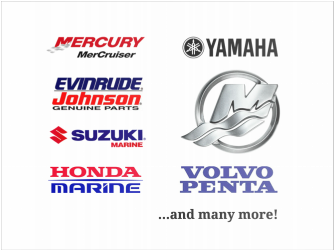 Looking for custom work on your boat in any way? Clearwater Marine is able to achieve perfection when it comes to customizing your boat. With years of experience, our riggers are able to add, remove, and create the features that will personalize your boat.